Home BBC BBC Proms Music Festival Watch The BBC Proms Music Festival In VR For The First Time Ever. Watch The BBC Proms Music Festival In VR For The First Time Ever. 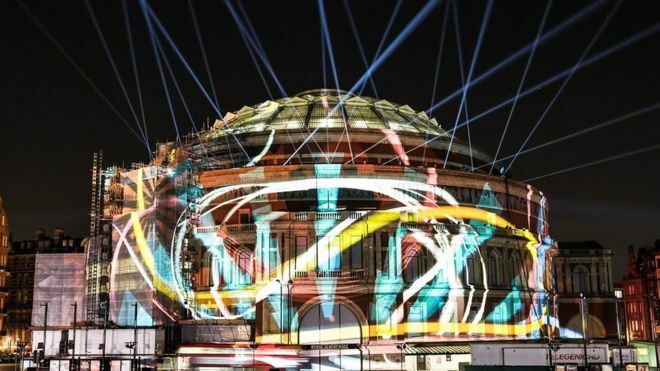 The BBC Proms is holding a Prom in virtual reality for the first time ever. Produced by BBC VR Hub, Nothing to be Written has been created jointly by one of today’s most exciting, contemporary composers, Anna Meredith with 59 Productions – the Tony Award-winning company of artists behind the video design of the Opening Ceremony during the London 2012 Olympic Games. The first ever VR Prom receives its world premiere on Tuesday 21 August. Nothing to be Written, a seven-minute experience is a contemporary response to the First War World and takes the ‘field postcard’ as its inspiration. The pre-written cards allowed soldiers to choose one of three options: "I am quite well", "I have been injured" or "I am in the hospital." They were allowed to sign their name and date it - but if they wrote anything else, the cards would be destroyed. Nothing to be Written takes the viewer on a highly emotive journey, positioning them as the main protagonist in the narrative: civilians transported on the same journey fared by their loved ones during World War I. The piece merges two worlds - the hallways across the country with families and friends waiting quietly for news, with the unrestrained violence of the trenches. Throughout the piece, an image of a field postcard remains the central thread. The hope of the project is to help shed a light on some of the lesser-known stories of “the war to end all wars,” as well as the various forms of communication that kept soldiers in touch with their loved ones throughout the gruelling campaign. The music featured in this 25-minute VR experience was recorded live on the First Night of the Proms and captured in 360° sound with high-quality ambisonics. Broken into two parts, Nothing to be Written is a seven-minute experience highlighting the incredible importance of field postcards, the primary form of communication for soldiers during the war, and a 25-minute musical experience showcasing Anna Meredith’s full score of Five Telegrams. The VR Prom is a further iteration of the Five Telegrams project which formally launched the BBC Proms 2018 season. A co-commission for Anna Meredith and 59 Productions by the BBC Proms, Edinburgh International Festival and 14-18 NOW (the UK’s arts programme for the First World War centenary), this major new work for orchestra, choir and projections explores the varied forms of communication from the front lines. Its second movement, entitled Field Postcard, forms the basis of the VR experience, drawing on the talents of both the BBC Proms Youth Ensemble and the National Youth Choir of Great Britain, alongside the BBC Symphony Orchestra under the baton of their chief conductor, Sakari Oramo. “To me, it mirrors the music I wrote by allowing you to experience the texture both at a distance or really zooming into the detail of the Field Postcards and the stories they tell beyond the prescribed text,” says Composers Anna Meredith. Nothing to be Written will have its world premiere at the BBC Proms on Tuesday 21st August. It then travels to 14-18 NOW (the UK’s arts programme for the First World War centenary) – linked events throughout the Autumn, followed by an international premiere at Raindance Film Festival. The Proms film takes a different approach, using the Royal Albert Hall to illustrate the music by having the building's walls and geometry morph and change. "Space feels real but heightened," said Lysander Ashton of 59 Productions. "As the music begins, the hall begins to transform in response to the music. "The architecture around you shifts and changes, becoming a canvas on which the music is painted." 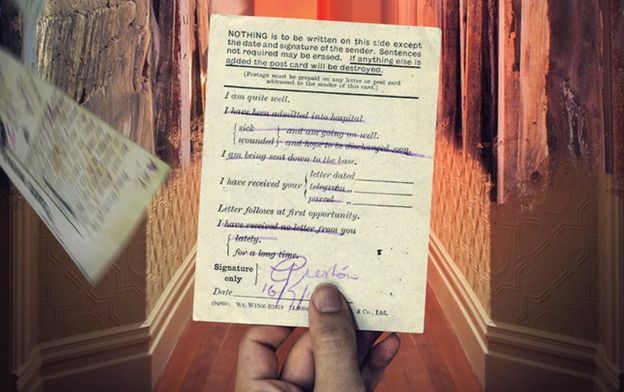 Nothing To Be Written will also be made available as a stand-alone VR experience.